Who is Your Press Release Audience? Before you start typing up your next press release, you need to figure out who your audience is. Who do you want to read this press release, and what do you want them to do once they’ve read it? Where are you going to publish it so it gets found by the audience you’re targeting? In this era of the online press release, the truth is these releases aren’t just for journalists and reporters anymore. Today’s press release has a much wider audience, as you can see here below. Traditional Media – The original press release audience. One thing I don’t like about this new era of press release distribution is that too many companies write off the power of traditional media. Instead of targeting newspapers, TV, and radio, they target blogs, podcast, and searchers. There’s nothing wrong with those audiences, but you can’t overlook the buzz that can be created if your story gets picked up by a major media outlet. New Media – Reaching out to bloggers, podcasters, and other online influencers is a cost-effective way to increase brand awareness and get more sales. To be successful when targeting new media you have to figure out which outlets cover your topic of interest, get to know the bloggers and their audience, and have a clear, strong story that catches their attention. Like other types of press release distribution and outreach, you have to be persistent and consistent. Distribute high quality press releases on a regular basis to build familiarity and trust. 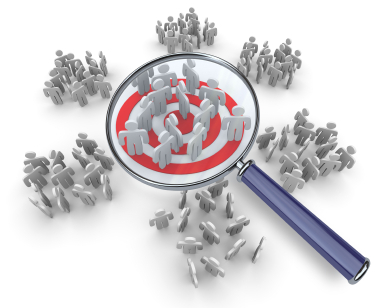 Consumers – Online press releases can be used to target your customers directly. You can create your own online news room with the latest news that appeals to your customers. To get these press releases maximum exposure to buyers, you need to use the same keywords they’re using when searching online. Write press releases that focus on your buyers’ problems and common pain points. Note: This isn’t an excuse to turn your press release into an advertisement. It still needs to be newsworthy. Investors – Press releases can be used as a tool to attract new investors and to inform current investors of the success and growth of your company. Keeping investors happy is always important, so make sure you highlight the topics your investors care about most. Affiliates – Do affiliates help sell your products? Whenever there are changes to your products or you release new products, you can write press releases aimed at these affiliates to keep them informed and excited about selling your products. Search Engines – The search release has risen to prominence as a growing number of companies are distributing press releases solely for the sake of improving search rankings. Don’t get me wrong, SEO plays an important part in today’s press releases. However, my biggest problem with the search release is that too many companies are cranking out low-quality, uninteresting releases and publishing them on low authority “free” press release websites where they just sit there and do nothing. SEO is important, but never sacrifice quality for the sake of a few links. Do you still write releases just for the media? Or do you buy into the idea of the search release and news releases targeted directly at customers?